Most Shelby residents will lose a tooth at some point in their lives, but that doesn’t mean your smile has to suffer. There are numerous ways to fix a lost tooth, but today, Dr. Miller would like to educate you about the best option for a healthy smile that will last a lifetime: dental implants. Here are some facts about dental implants. If you have any questions or would like to schedule a consultation, don’t hesitate to give us at Discovery Dental a call. If you already have bridges, crowns, or dentures and are considering implants, listen to this – implants add stability to other appliances. Because they are rooted in the jawbone like real teeth, they serve as excellent support systems for appliances and help to maintain the natural structure of your face. Implants are also great as anchors for orthodontic appliances, such as braces. It is common to hear about dental appliances needing to be adjusted, fixed or replaced altogether. Shelby residents with dentures, bridges, and/or crowns may find that they can wear out and require attention. 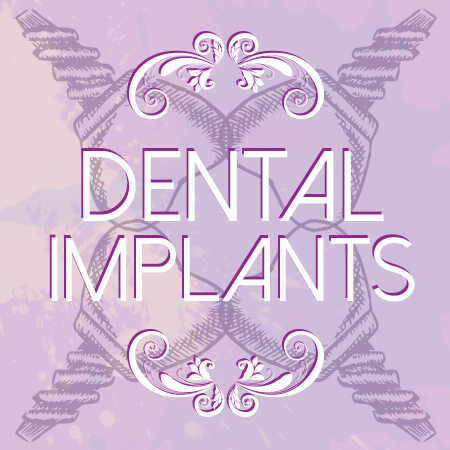 However, implants have the potential to last as long as you do. There is no way to be certain, but the odd are in your favor. If cared for with good dental hygiene and regular visits to Dr. Miller, your implant will likely stick with you forever. Dr. Miller is an expert in dental implants. If your smile is haunted by a missing tooth, we at Discovery Dental can help! Give us a call to find out how you can get the smile you’ve always wanted.